Set of 26 "alphabet soup cans" (cardboard cans with plastic lids) with 7 photographic object cards (5 object, 1 uppercase letter, 1 lowercase letter). Activity guide Included. Includes intervention strategy activities. 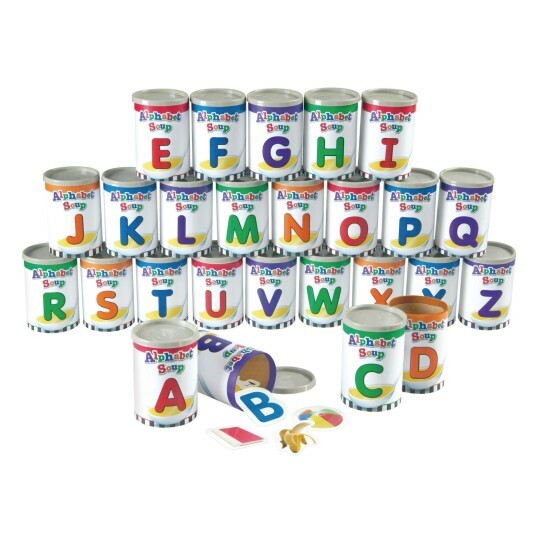 Reinforces alphabet, letter identification, sorting and early vocabulary skills. Grades PreK+.